You can create a stamp containing a series of drawings. 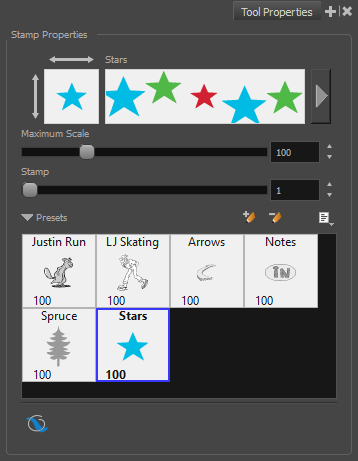 All you need to do is create each drawing you want to add to your stamp in a separate layer, then create a stamp with these layers selected. The resulting stamp will cycle through each one of these drawings as you use it. 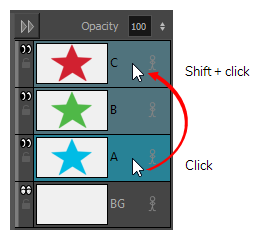 In the Layer panel, the Layer toolbar or the Layers view, click on Add Vector Layer . In the top menu, select Layer > New > Vector Layer. NOTE You do not have to worry about the order in which the layers are for now, as you can decide in which order each layer is added to your stamp later. In the first layer you have created, create the first drawing you want to have in the drawing sequence of your stamp. In the second layer you have created, create the second drawing you want to have in the drawing sequence of your stamp. Repeat until you have created every drawing you want to have in the drawing sequence of your stamp. If you want the drawing sequence to go from the bottommost layer to the topmost layer, click on the bottommost layer then, while holding Shift, click on the topmost layer. This will select all layers between the layers you clicked inclusively, in order from bottom to top. If you want the drawing sequence to go from the topmost layer to the bottommost layer, click on the topmost layer then, while holding Shift, click on the bottommost layer. This will select all layers between the two layers you clicked inclusively, in order from top to bottom. 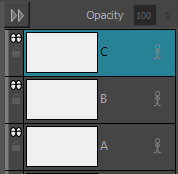 If you want to create a sequence going through the drawings in your layers in a more specific order, press and hold the Ctrl key, and click on each layer you want to add to your stamp, in the order in which you want them to be in the sequence. If you want to exclude any of the selected layers from your sequence, hold Ctrl and click on each one of the selected layers you want to exclude to unselected them. In the Tools toolbar, select the Stamp tool. In the Tool Properties view, click on New Preset. The New Preset dialog appears. In the New Preset dialog, type the desired name for your new stamp. A multi-drawing stamp containing the artwork in all the selected layers is added to the Presets list. The first drawing in the sequence appears in its thumbnail. 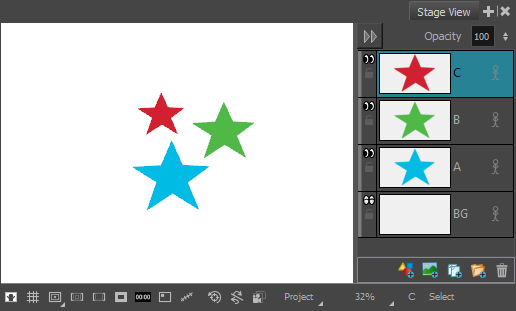 To preview the sequence of drawings in your stamp, select it in the Presets list. The sequence will appear in the preview area at the top of the Tool Properties view. NOTE Once your stamp has been created, you can delete the artwork you used to create it from your project. The artwork in your stamps will be saved in your preferences.